I designed my first commercial website in high school, back in 1997, when you had to use Microsoft Notepad to write your HTML code by hand or if you are lucky you had a copy of HotDog (which you had to copy off a magazine ‘Cover CD-Rom’ because dial-up Internet was so slow – remember those days?). Since then I have seen the development of web design progress through the awkward Microsoft Frontpage stage, the adolescent Macromedia (and later Adobe) Dreamweaver stage, and finally into the present day of user-friendly content management systems (CMS) which have brought web design to the masses. In my experience CMS preference comes down to personality type and programming experience. Those with the programmers mindset tend towards Drupal or any of a number of development frameworks such as CodeIgniter, technophobes tend towards the hosted web development platforms such as Squarespace and those in the middle choose between WordPress, Joomla! and any of hundreds of other user-friendly content management systems. Although I have worked over the years with pretty much every major CMS, as a visual person (definitely a designer who dabbles in programming rather than the other way round) I love the responsiveness and stability of the WordPress platform. However its greatest asset is the vibrant and growing community of developers who have expanded the WordPress universe beyond basic blogging into a versatile foundation that you can bolt nearly any functionality onto. I am yet to come up with an idea or feature that I couldn’t produce easily with the current selection of pre built plug-ins. Unfortunately one of the most overwhelming issues for those getting started in the WordPress world is the sheer number of plug-ins available (over 30,000 at last count). This can lead to hours and hours of exploring the WordPress plug-in database and reading ‘top 10 plug-in‘ lists until your eyes bleed. In the interest of preserving the sanity (and eyesight) of WordPress beginners (and more advanced users who might be interested), I have compiled a list of my favourite WordPress plug-ins for your enjoyment. If you have any suggestions for any other plug-ins I should add to my list please feel free to comment below. Please note: I have included the “Donation” link for free plugins (if available) so that you can show your appreciation to the kind souls in the WordPress world who made these amazing tools and then gave them away for free. If their plugin saved you time and/or money, make sure you throw them some money to say thanks! These are the plug-ins that I install on every single WordPress website that I develop, as a matter of course. I don’t even think about anything else until these plug-ins are installed. They have proven time and again to be fantastic tools and I honestly couldn’t live without them. I shouldn’t need to explain this one, everyone should be using this by default (this is the ultimate spam busting plugin for WordPress). But if some reason you’re not using it, then do yourself a favour and install Akismet. It’s free for personal sites and if you’re making money from your WordPress development work or from your website, don’t forget to send the developers some cash when you register for an API key. The only way the WordPress community can develop and mature is if we all contribute to those organisations and developers who produce the amazing plugins we depend on. Jetpack is a fantastic collection of tools from the team who run WordPress.com. Users of the hosted WordPress service will recognise many of these features but with Jetpack, self hosted WordPress users are able to enjoy a suite of useful features. Listed below are my particular favourites although there are over a dozen more available for free as part of the plug-in. This plugin opens up a wealth of extra features within the TinyMCE editor and allows you to control which of the extra features are made available. This plug-in provides a simple and easy way to improve the navigation and pagination of your blog. The fact that this plug-in has over 4 million downloads suggests that many other users agree with me! I must admit, when I first used this plugin, it completely changed how I felt about WordPress development. One of my biggest complaints was the difficulty in running backups and migrating sites. Sure, it wasn’t that hard, but compared to all the other “easy” features like updating WordPress core and plugins, I figured there had to be an easier way. It turns out that BackupBuddy was that way! An all-inclusive email petition system for WordPress. I used this plugin to great effect on the #ScrapTheCap website. I had to do some custom coding to make it do what I want (I will post up a tutorial at a later date) but it was a fantastic foundation to build on. I honestly can’t say a single thing bad about Gravity Forms, and really that’s the greatest compliment I can give it. It does everything I want a form builder to do and I keep discovering new and exciting features that I had no idea existed. I started using it as a simple form builder for contact forms and content submission. I then used it for creating user submitted posts (with an associated moderation process) and most recently I’ve used it to develop a custom “contact your local member” system for #ScrapTheCap which integrated with the Toolset suite of plugins (discussed below). Do yourself a favour, cut back on a coffee or two and spend your hard earned money on a Gravity Forms license. You won’t regret it. If you’re looking for a free alternative to Gravity Forms, you should consider using Contact Form 7. I have used it on a number of sites and found it particularly useful, although to be honest, now that I have a developer license for Gravity Forms I no longer have any need to use it. Although not ideal for every client and every website, Visual Composer does provide a fantastic interface for those who need to be able to work visually on the design of a page, rather than having to remember a series of custom shortcodes. It’s simple enough for most tech savvy clients to use, while still having the flexibility to allow me to develop relatively complex layouts when needed (especially for homepages such as #ScrapTheCap). 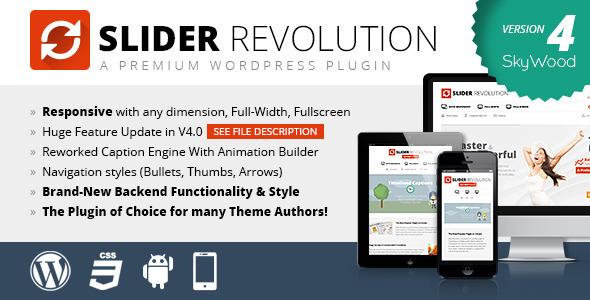 Layerslider is just one of many slider plug-ins for WordPress, and like most WordPress developers I have tried a number of them over the years. I have found this one to be particularly good, especially for clients. It also works well with mobile devices such as iPads and iPhones. My other favourite slider is Revolution Slider. Similar to Layerslider, it has a great interface and is responsive to mobile devices. This is a handy plug-in that makes it a breeze to embed videos posted on YouTube, Vimeo and other video hosting sites. It also works well on iPhone and iPad. TablePress is a brilliant plug-in that allows you to import a spreadsheet of data and then output a high quality, sortable table in a WordPress blog post. You can see an example of TablePress output on my previous post of medical education resources. I have tried a number of different Google Map systems over the years, but I have found that the MapPress system is the best. You can get the free version, but I invested in the Pro version as it was fantastic for developing Google Map Mashups like the #ScrapTheCap homepage. If you are looking for a free alternative to MapPress Pro, check out this free and brilliant plugin. It doesn’t quite have all the features of MapPress Pro but it is still very useful and best of all, it’s free! I’ll admit when I first started using this plugin, I was a bit apprehensive as it doesn’t have the greatest amount of documentation. But once I started digging deeper into the website and support forum, I found all of the code and examples I needed to implement this fantastic plugin into the FGP14 website. You might have to work a bit to get it up and working, but once you do you’ll be happy, it’s a dream to use and clients love it. I have been a big fan of the Disqus comment systems since I first used it on a website a few years ago. Although I know there are a huge variety of WordPress comment systems available, I still find myself coming back to Disqus for client websites. It’s free, manages spam and allows users to login with a variety of social media accounts. Another system that has potential is the Jetpack Comments plug-in. I haven’t had chance to really trial it properly yet but it’s on my to-do list. Like a number of similar plugins, this tool allows you to rebuild all of the thumbnails on your site. Unlike other plugins though, it doesn’t time out or crash when you have a lot of large images. This is a handy plug-in that will let you know about any broken links on your WordPress site (a capital crime in the SEO world), either as an email notification or as an update on your WordPress dashboard. This plug-in allows you to integrate Yahoo’s handy Smush.it image optimisation API within your WordPress blog. It will reduce the file size of all your images while retaining image quality, which will hopefully improve the performance and reduce the download requirement for your visitors. Plus it’s really simple to use, so you really have nothing to lose by giving it a go. I used to love the Tweet Blender plug-in for providing a Twitter hashtag feed widget on sidebars but unfortunately it stopped working once the new Twitter API was released last year. Luckily Twitter Feed Pro came to the rescue (after I tested a bucket load of other plug-ins) to recreate the hashtag feed feature that I loved on Tweet Blender. Yes it costs a little bit of money, but it’s worth every cent. I think the WordPress SEO plug-in from Yoast is without a doubt the most complete and easy to use SEO system for WordPress. It does most things out of the box so unless you feel like tuning every single feature, you can pretty much set and forget. Personally I like to make sure that I make the most of every SEO opportunity and the instructions built into the plug-in are particularly useful for learning SEO, especially of those with little or no experience. Although I prefer the Yoast SEO plug-in, I have also used the All-in-One SEO pack and it’s also an excellent option. There is also the opportunity to upgrade to a Pro version for $39.00 USD. Another useful plug-in from Yoast, this tool allows you to unlock some of the more powerful features of Google Analytics within WordPress such as tracking custom variables and tracking of downloads and clickouts. This is the most popular Google XML Sitemap generator for WordPress, with over 12 million downloads. It generates XML sitemaps that are compatible with Google, Bing, Yahoo and Ask.com. One of the most challenging things about WordPress is the way plugins can “take over” the admin area and make things particularly difficult for clients to navigate. The AG Custom Admin plugin allows you to customise the titles of Admin Menu items and hide the sections that you don’t want clients to use. It’s a fantastic way of simplifying the admin area. Although this plugin is very helpful, it doesn’t go all the way to creating a truly simple admin area for clients. I am still looking for the perfect solution, so if you know of anything, please comment below and I’ll check it out! This handy plug-in allows you to control the display of columns within the admin area, allowing you to show only the information you need. This can be particular useful once you have a few different plug-ins that affect the content list pages within the Admin area. It also allows you to simplify things considerably for our clients. Although creating duplicate content is particularly bad for search engine optimisation, there are some situations where you want to work on alternative versions of pages without messing with the original or you are using custom content types and need to duplicate all aspects of the post. This plug-in makes it easy! If you want to expand beyond the basic “title and description” format for pages and content within WordPress, you have a number of different options. Coming from a Drupal background I was looking for a plug-in to replace the Custom Content Type functionality I was used to from that CMS. Although I have now moved on to the Toolset Suite (discussed below) I still think that Advanced Custom Fields is a fantastic tool for expanding WordPress beyond its basic blogging foundation. 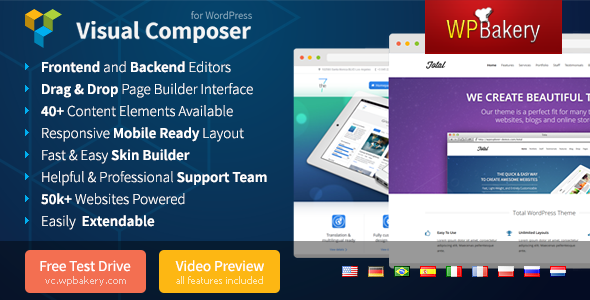 The Toolset Suite of plugins really expands WordPress beyond a simple blogging system and opens up a new world of custom content, dynamic views and powerful user permissions. I used the Toolset Suite extensively in the development of the #ScrapTheCap Campaign website and found it a pleasure to use. The way it integrates with other plug-ins such as Gravity Forms means that this set of plug-ins will probably become core components of all future WordPress websites that I develop. This plug-in allow you to exclude certain categories when you showing content on a WordPress widget. It is surprising how often I have needed this feature and this simple plug-in does everything I need with no fuss. It’s no longer supported, but it still works! This is a simple plugin that allows you to display a content list for a single category. It really is as simple as that. Sometimes you just need to display a list of posts such as the 5 latest news items within a custom layout. I tried a number of different ways of doing this and I found the Display Posts Shortcode plug-in to be the easiest way to do it. I have used this plug-in on the Social Media GP website and at #ScrapTheCap and both times it has done the job with very little fuss. Another version of this idea is the Advanced Post List plugin, which offers a number of extra features compared to “Display Posts Shortcode” above. I used this plugin on the FGP14 website and it was a dream to use. A simple plugin that allows you to run PHP code within a widget (not possible in a standard text widget). Very handy! Another simple plugin that allows you to create custom shortcodes that execute reusable PHP code. Much easier than trying to use PHP code directly within content and allows you to create custom shortcodes for clients. This plugin allows you to add multiple custom images sizes to the formats created by WordPress when you upload new media. Particularly handy if you are dealing with custom development and multiple content types. One of the joys of developing WordPress sites is discovering new plugins and working out how you can use them to better meet the needs of your clients. There are a few other plugins that I am excited to try out and am currently trialling on various projects. I am looking at a number of CRM systems and CRM integrations with WordPress (CiviCRM is looking amazing) and I am working on a multilingual site so I have been playing extensively with WPML (The WordPress Multilingual Plugin) and Transposh (a plugin that combines machine and human translation in over 50 languages). I’ve also been playing around with The Events Calendar from Modern Tribe and it is fantastic so far. Finally, I am still waiting for a project where I have an excuse to really get to grips with BuddyPress (the WordPress Custom Social Network Uber-Plugin) and WooCommerce (an eCommerce toolkit for WordPress that looks fantastic). So many plugins to try, so little time! I hope you have found this list useful and please comment below if you have any suggestions for other plugins that I should add to my list. Happy Blogging! There is a room for social login solutions and I personally never use 3rd party commenting providers; I believe comments should not be detached from the core features for many reasons specially SEO and Authorship( both tech and IP aspects). Thanks again for your insightful post. This is a great list, I use many of these WP plugins too. I was just bumming around looking to see if I needed to update my default repertoire. I love Visual Composer, but I just stumbled upotn Thrive Theme Page Generator, so I think I’ll have a go and play with that awhile. Great insight, thanks again. Hey Dave, Your mentioned plugins are very helpful for me. Try Avartan slider WordPress plugin. It has unique features like touch and swipe navigation, drag and drop visual slider builder, multi-media content and many more which help you to make your Photography site more attractive.